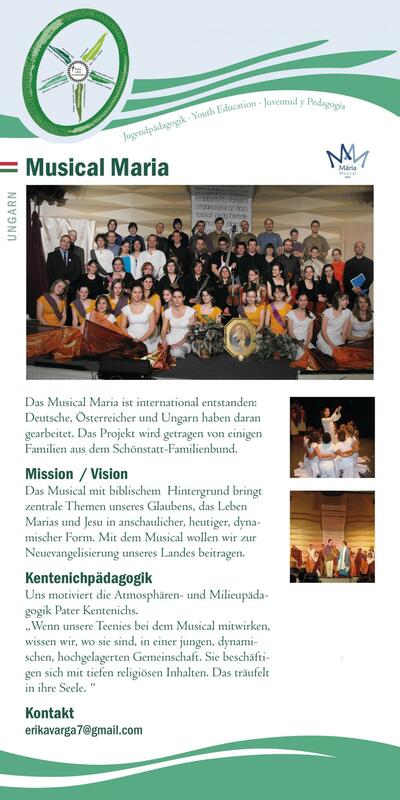 The Musical Maria is an international project: Germans, Austrians and Hungarians worked on it. The project was started by several families from the Schoenstatt Family Federation. The musical presents the central themes of our faith in an expressive, current and dynamic form, against the backdrop of Sacred Scripture. It tells the story of the lives of Mary and Jesus. It shows how a woman can live in a family, in a marriage. The musical aims to contribute towards the new evangelisation in our country.